“We are suffering a little bit but that’s not an excuse,” said Tottenham manager Mauricio Pochettino. Roberto Firmino’s last-gasp strike gave Liverpool a 3-2 win over Paris Saint-Germain in a thrilling encounter on the opening night of the UEFA Champions League group stage, after Lionel Messi’s latest hat-trick handed Barcelona a winning start. There were dramatic late goals around Europe, including for Inter Milan against Tottenham Hotspur, and winning starts for several of the leading contenders, with Atletico Madrid battling back to beat Monaco. But the heavyweight encounter of the evening was at Anfield, and the Group C match between last season’s beaten finalists and the ambitious PSG lived up to expectations. Liverpool were rewarded for their excellent start as they found themselves two goals up after 36 minutes, Daniel Sturridge getting the opener before James Milner netted a penalty. But the French champions pulled one back before the interval through Thomas Meunier — the goal allowed to stand despite Edinson Cavani being offside in the build-up. The two most expensive players in the world then combined for the 83rd-minute equaliser that looked set to earn PSG a draw, Neymar assisting Kylian Mbappe to score. Those two had not played well though, and Mbappe was caught in possession just before Firmino, on as a substitute, struck the winner in the second minute of stoppage time. “I can’t say enough good things about Bobby. To come off the bench after his injury at the weekend is incredible really,” said Klopp of Firmino, who was poked in the eye by Jan Vertonghen in the weekend win at Spurs. PSG next face Red Star Belgrade, who marked their return to the big time with a 0-0 draw against Napoli. 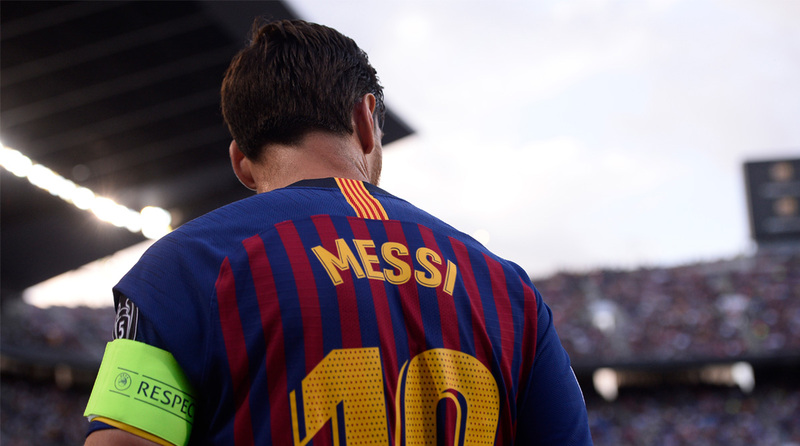 UEFA have introduced a handful of earlier kick-offs in every Champions League midweek this season, and it was still light at the Camp Nou as Barcelona kicked off against PSV Eindhoven in Group B.
Messi has made clear his determination to go all the way in Europe this season and the Argentine duly scored the first goal of the 2018-19 group stage from a superb first-half free-kick. Barca ran away with the game in the second half, with Ousmane Dembele scoring a stunner before Messi added two more to complete his eighth Champions League hat-trick, one more than Cristiano Ronaldo, and seal a 4-0 win. “Normally if you score a hat-trick you frame it. But he makes the extraordinary routine,” said Barca coach Ernesto Valverde, whose side had Samuel Umtiti sent off late on. The Spanish champions next go to London to face Tottenham Hotspur, who suffered a wounding 2-1 defeat at Inter Milan. Having lost their last two Premier League games, Spurs were on course for a welcome win via Christian Eriksen’s second-half opener, which went in via a wicked deflection. But Mauro Icardi’s brilliant late volley brought the hosts level, and Matias Vecino headed in a stoppage-time winner for Inter, back in the Champions League for the first time since 2011-12. After winning the Europa League last season, Atletico Madrid are targeting Champions League glory with the final to be played in their own stadium. They started their campaign by beating Monaco 2-1 away in Group A, Diego Costa and Jose Maria Gimenez getting their goals after Samuel Grandsir put the hosts in front. In the same group, Christian Pulisic celebrated his 20th birthday in style by scoring a fortunate late goal that gave Borussia Dortmund a 1-0 win away to Club Brugge. Dortmund’s bitter rivals Schalke started off with a 1-1 draw against FC Porto in an eventful Group D encounter. Breel Embolo gave the German side a second-half lead, firing past Iker Casillas, who has now played in the Champions League in a record 20 separate seasons. That was after Alex Telles had an early penalty saved for the visitors. But Porto, who won the Champions League in Schalke’s Gelsenkirchen stadium in 2004, equalised when Otavio converted another penalty late on. Meanwhile, Garry Rodrigues and Eren Derdiyok netted, and Selcuk Inan scored a penalty, as Galatasaray beat Lokomotiv Moscow 3-0 in Istanbul.